Spring is here which means that it is finally time to get your garden in the ground! If you didn’t plan and prep your garden over the last few months, don’t fret! You can still get everything together in this early springtime for a full & productive garden. Look through this list for my favorite reputable seed companies, online gardening courses, spring garden supplies, as well as additional Spring garden planning resources & tools. This is a family owned organic heirloom seed company that strives to provide the absolute best care for their customers & for the land. They also offer garden planning resources and webinars that you will find a little further down in this list. This is the first seed company that I used when starting out with my vegetable gardens. 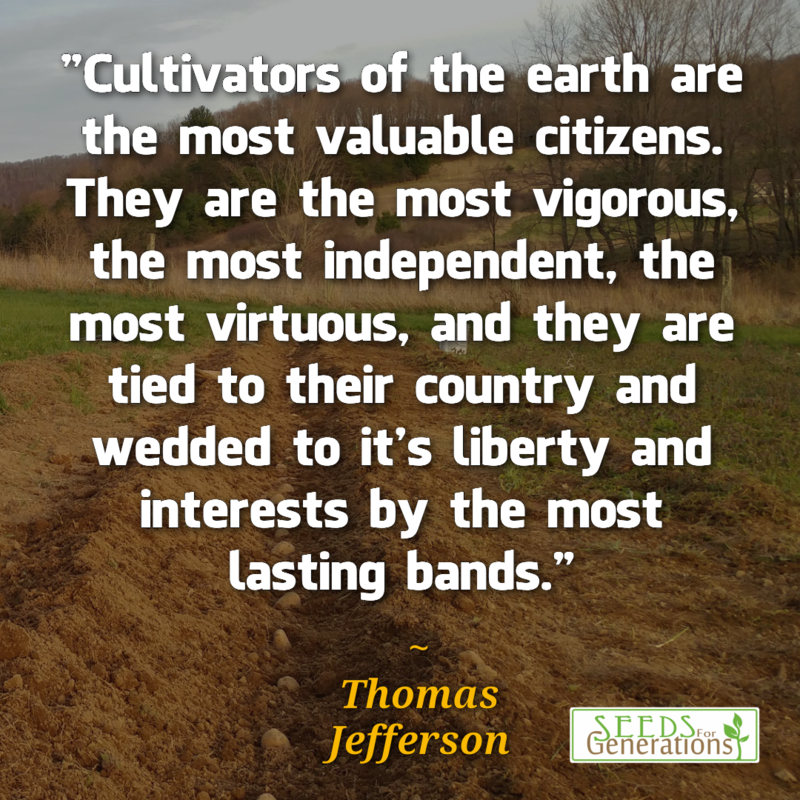 Peaceful Valley, a family owned company, offers organic seeds, soil amendments, pest control supplies, trees & shrubs, berries & vines, floating row covers, mushroom kits, greenhouses, soil testing, cold frames, tillers, and other gardening tools and supplies. Baker Creek is currently one of the most popular seed companies among homesteaders. This company is also family owned. The work hard to offer quality heirloom seeds to customers as well as providing free seeds to many impoverished countries and to local school gardens. This webinar is hosted by Seeds for Generations. The webinar covers planning and positioning your garden, determining your optimal seed starting and planting dates, calculating usable space, maximizing production, succession planting, and preserving your harvest. A kneeling pad is not a necessary item for spring gardening, but it sure can make planting and weeding a lot more comfortable. You can find simple kneeling pads that are made of a block of foam, but if you plan to use this for more than one season, I recommend a more heavy duty option like this one. It is covered in canvas material that is removable and machine washable. Having a quality pair of gardening gloves can preserve your hands and make working in the garden much less messy. You will not want a bulky pair because you need to be able to handle seeds and move your fingers around freely. Having a hose reel for your garden hose can prolong the life of your hose and make daily watering a little less time-consuming because it eliminates the need to untangle the hose each time you need it. We use a simple mounted hose reel, but if you need more freedom to move your hose & reel, I recommend a portable hose reel like this one. A garden apron comes in handy when you are planting and weeding as it can hold your seed packs and tools, freeing up your hands to do what they need to do. You can also use a garden apron when you are gathering your produce. You can purchase a garden apron like this one OR you can make your own. I don’t have to gather tomatoes in my shirt anymore! Watering is pretty important for the success of a garden (sounds common sense, but my first year’s garden died because I neglected to water it #rookiemove). You will want to have a heavy-duty hose because you will be using it multiple times each day. Investing in a quality hose from the start will save you the trouble of purchasing multiple lower quality hoses throughout the season. It is also a good idea to have an adjustable nozzle so you can control the water flow to keep from drowning your plants. If you are using a drip system, you won’t need the nozzle. Drip Irrigation is my preferred method of watering. A drip system provides water directly to the base of each plant instead of over the leaves, fruits, and extra soil. This reduces water waste and helps to prevent scorching of your plants on very hot days. You can purchase drip irrigation tape or you can create your own drip irrigation system out of PVC pipes. This system can be connected directly to your garden hose or to a gravity fed watering system. You will need some basic garden tools such as a trowel, a cultivator, a rake, and a spade. I like to use a metal wheelbarrow as opposed to a plastic one because they hold larger quantities without buckling. I always opt for biodegradable seed starting pots and trays like ones made from peat so that I am not increasing my plastic consumption. This year, I am using leftover cardboard egg flats. They will be composted when I am finished with them. If you are starting seeds indoors and you don’t have a space with abundant natural light, you will need a good set of indoor grow lights. When planting multiple varieties in your garden, it is a good idea to use plant markers to help you know exactly what is planted where until germination is completed. I like the idea of using these bamboo plant markers because you can reuse them and they are biodegradable. 17. Garden Plan Pro– Garden Plan Pro is an app that allows you to design just the right layout for your vegetable, herb, or fruit garden. The app adjusts to your location, sends you planting reminders, and allows planning for a traditional or a raised bed garden. 18. Smart Gardener– The Smart Gardener tool allows you to plan out your garden in an interactive grid format. It also provides you with information such as your weekly growing conditions, ideal plant recommendations, a garden to-do list, and garden journal that tracks & collects your garden information. This tool is priced at $6 for 90 day use or $20 for 360 day use. 19. Seed Quantity Calculator (Free)- Use this free tool to determine how many seeds your will need for your specific garden space. Simply enter the crop type, the unit of measure, the number of feet in each row, and if you plan to direct sow or transplant. You can also opt to enter the length of space between seeds and plants, the feet in each row, and the number of rows. 20. Seed Starting Date Calculator (Free)- Enter the last Spring frost date into the Seed Starting Date Calculator to easily see how many weeks before setting out you need to start your seeds, best dates to start indoors for various crops, and the safest time to set plants out based on the frost-free date. 21. Garden Planning Calculator (Free)- This Garden Planning Calculator from Seeds for Generations gives you the following information based on your last average Spring frost date: germination timelines, germination temperatures, indoor start dates, earliest direct seed dates, earliest transplant dates, and the earliest harvest dates. This information is available for 46 different types of crops. This free checklist contains the basic gardening supplies and the garden tasks that you will want to complete this Spring. You can download now it in the Member Resource Library. This Succession Planning Interval Chart provides general guidelines succession planting of vegetable crops at 7, 10 , 14, 21, and 30 day intervals. The Homestead Garden Planner is a printable gardening pack that includes reference, record keeping, and planning sheets for your Spring garden. If you save seeds from your garden, these seed pack labels can help you keep them neat and organized. The Homestead Management Binder is a comprehensive homestead record keeping & reference resource. It contains the entire Homestead Garden Planner along with the Livestock Management Notebook, the Farm & Homestead Finance Tracker, and the Homestead Goal & Project Planner. What are your favorite Spring garden planning tools & resources?